Ten-year-old Isla has moved from Edinburgh to the Orkney Islands with her parents, to start a new life after the death of Isla’s beloved young brother. Isla’s mother’s family is from Orkney and her father’s is from Africa, and she finds island life is very different to her former city home. Her discovery of the old Orcadian legend about the selkies, half human, half seal people, becomes the key to adjustment and acceptance. Many strands are woven into this deceptively simple story – loss and discovery, legend and reality, the pleasures and problems of settling into a new place, the need to make new friends, the coming to terms with sadness. Jane Ray’s illustrations capture the beauty of the island landscape and integrate it perfectly with the atmosphere and rich texture of the storytelling. Endorsed by Amnesty International for illuminating the human rights values of family, friends, home, safety and refuge. 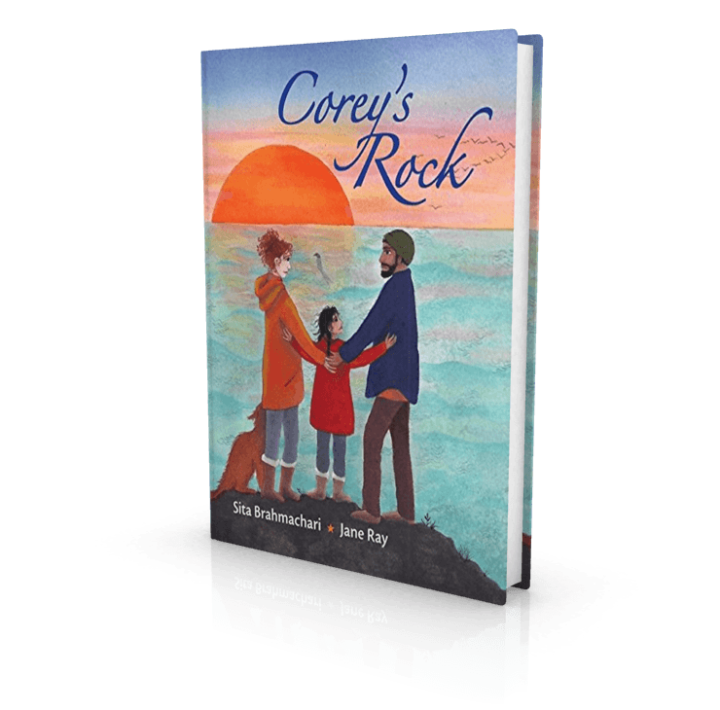 Written in narrative verse with exquisite full-page colour illustrations [by Jane Ray] A lyrical and deeply moving novella about bereavement and identity, shot through with the selkie (seal folk) myth. A Magical Tale that will bring comfort to its young readers. A warmly compassionate, exquisitely beautiful story of love and loss, old tales and new beginnings. How to describe this book? It’s longer in length but also smaller in size compared with a picture book. But it’s illustrated and designed as if it were a picture book. The format the publisher Otter-Barry Books has chosen for it, suits the title perfectly.